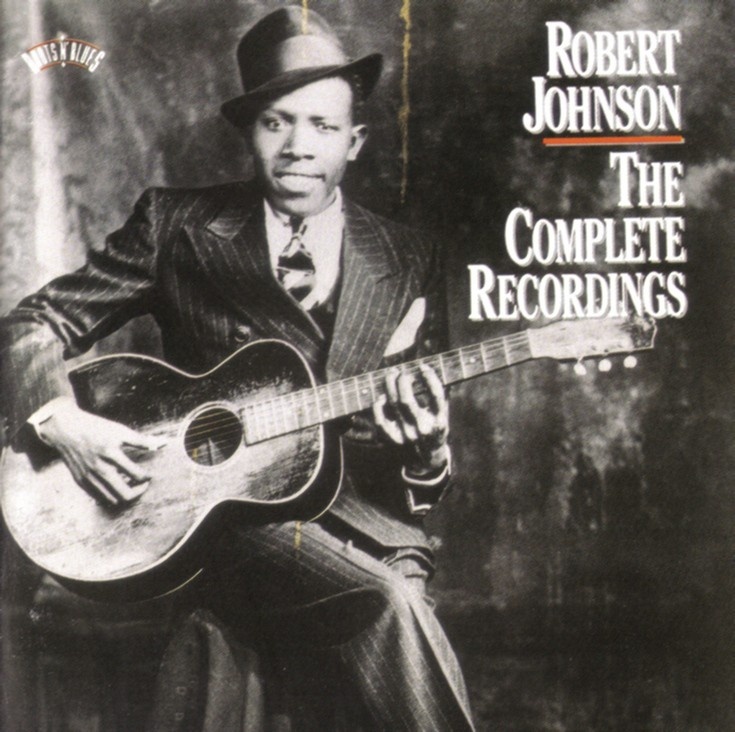 Robert Johnson was one of the first artists to play and record in the 12 Bar Blues format on guitar. When playing the 12 Bar Blues, a guitarist plays 3 chords, usually 1, 4 & 5 chord of the key(example: E7, A7 & B7 chords). The complete turnaround lasts for 12 measures, then repeats. Examples of Robert Johnson’s use of the 12 Bar Blues are Crossroads and Sweet Home Chicago, both recorded back in 1936. Many artists have had major hit songs using this chord arrangement including Buddy Holly, Chuck Berry, Elvis Presley, Little Richard, Jimi Hendrix, Eric Clapton and many more! Use the Links below to see short musical history videos by EricBlackmonMusic of these great songs! Enjoy! 10 Songs That You Can Sing With The 12 Bar Blues On Guitar! 10 MORE Songs That You Can Sing With The 12 Bar Blues On Guitar! The 12 Bar Blues & More! Check out my BLUES Pinterest Page! Learn To Play Old School Blues Guitar With The Easiest Lessons Ever! Learn To Play Old School Blues On Guitar with the easiest lessons ever from EricBlackmonMusic! The EricBlackmonMusic Old School Blues Guitar Lesson Series offers unbelievably easy ways to get into playing old style blues on guitar right away. Detailed instruction with easy explanations and examples by Eric Blackmon make it possible! Check out and work through this tutorial set to get playing some blues! New posts are added each month, so subscribe to prevent missing even one of them. EricBlackmonMusic. Your easy gateway to the blues! Also check out my Blues Pinterest Page! Thanks for following the EricBlackmonMusic Blog!